Located in the heart of Denver, North Carolina, Denver Chiropractic is dedicated to helping you achieve your wellness objectives and goals for better health. Dr. Mark Theriault uses both traditional and computerized (ProAdjuster) chiropractic techniques to help his patients get fast relief from their symptoms (especially pain) so they can live more productive and active lifestyles. 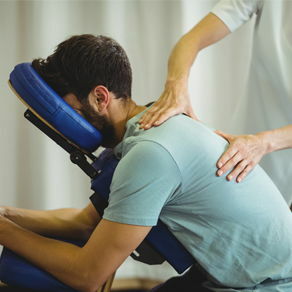 Specifically, Denver Chiropractic offers successful treatment methods for the most common issues such as headaches, neck and back pain, sinus and allergy problems, fatigue, irritability, extraspinal joint pain, TMJ, scoliosis, fibromyalgia, ADD, ADHD, rotator cuff syndrome, arthritis, sciatica and many other stress related conditions. ADVANCED WELLNESS CARE AWAITS YOU! "I have been very happy with my treatments at Denver Chiropractic and the wide array of services it offers. From state of the art adjustments to dietary supplements and aids to healthy eating, the practice has vastly improved my quality of life."